Here at Crown Oil, we do everything in our power to enable our full range of fuels and lubricants to be delivered to anywhere in the UK, within 24-48 hours. With over 70 years of experience supplying efficient fuel deliveries, we are relied on by countless businesses and homes throughout the UK. Whether you need a bulk 36,000 litre delivery or a 205-litre barrel fuel delivery, we can get your fuels to you, no matter where you’re located. Please use the contact form on this page to get the latest price, or give us a quick call on 0845 313 0845. Crown Oil is very proud to be a family-run business and welcomes all new customers with the lowest possible fuel prices and service in the industry. We can offer same or next day fuel delivery on all of our fuels and lubricants with our emergency fuel delivery service. Our phones are manned 24/7, day and night, making our our products accessible 365 days a year. This puts us at an advantage to our competitors as they usually need to make bulk deliveries at once. This could leave you waiting a week for your fuel delivery. Here at Crown Oil, we have oil depots all over the UK, to enable us to make your fuel delivery in a matter of hours. 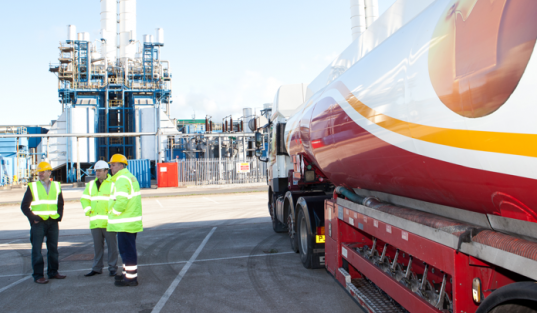 To learn more about how we could help you with a fuel delivery anywhere within the UK. Give our friendly and knowledgeable team a call today on 0845 313 0845 to learn more.